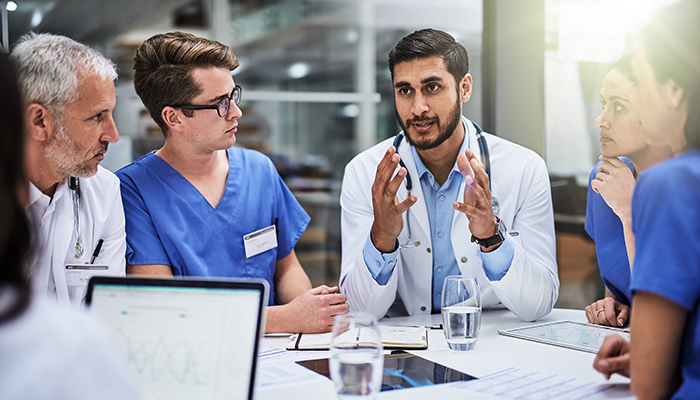 An emerging health IT trend for 2019, healthcare organizations are tasked with finding new digital tools to help improve overall quality of care. The pressure impacts clinicians directly as they struggle with delivering the best care to their patients with distracting inefficient technology applications. As clinician engagement proves to be a key factor in an organization’s ability to improving or worsening patient satisfaction and care delivery, technology needs to make daily tasks easier for providers to help them operate more efficiently. Healthcare organizations are cautioned to seek out EHR-integrated technology to assist overloaded providers in improving communications between each other. In order for multiple clinicians across health systems to accurately document and access a patient’s medical history, technology tools must be able to communicate with other systems to provide a complete picture of a patient’s health journey. Inefficient systems that require separate logins or applications might contribute to losing or miscommunicating important patient information — leading to costly, or even deadly, errors. With 96 percent of hospitals in the U.S. using an EHR, it’s important that healthcare technology vendors develop tools to integrate within a health system’s existing platform to enhance their EHR functionality — while also improving clinician efficiency. 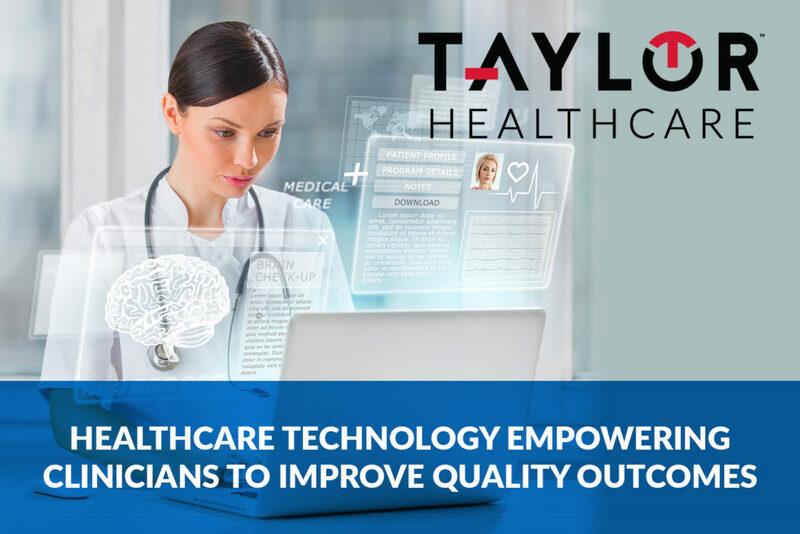 Taylor Healthcare’s technology solutions integrate with EHR systems to offer digital tools, such as iMedConsent™, to enhance the capabilities of your clinical staff while contributing to improved care and outcomes. iMedConsent™ digital content library solution, which is available as part of Taylor Healthcare’s Informed Consent electronic signature solution or as a content-only integrated solution for Epic clients, manages and maintains over 3,800 procedure-specific consent forms and over 4,400 patient education documents, including pre- and post-procedure instructions and anatomical images. Our comprehensive Advisory Board Review Process includes a team of certified medical directors and physicians reviewing each procedure-specific consent and education content to ensure that constantly-changing regulatory guidelines are met. Providers are relying on healthcare technology tools to provide them with the right information at the right time. As long as healthcare organizations ensure that providers have the best integrated technology they need to expand their ability to deliver more comprehensive care to patients, these organizations will begin to see huge improvements in their care and quality outcomes. Physicians play one of the most important roles in the lives of their patients — and that’s educating them on how to navigate through their care. With the constantly rising costs of healthcare, patients not only look to their physicians for their medical expertise and care instruction, they’re starting to demand more personalized, higher quality care from their already burdened physician. Physicians also want to be able to provide the best possible care to their patients but many, unfortunately, are often frustrated with inefficient processes and technology that tend to distract them from taking a completely personalized approach to managing their patient’s health. Studies show that clinicians spend more than half their day on a computer handling EHR-related tasks. Although technology has been looked at in a mostly positive light in regard to increasing operational efficiency and lowering costs for healthcare organizations, inefficient technology processes have become one of the major causes of burnout among clinicians. And with physician burnout at an all-time high, health organizations need to look for health technology tools that ease the workload on clinicians — freeing them up to offer higher quality care to the patient. Physicians need digital health tools that work for them — tools that allow them to operate more efficiently and spend more energy on the patient. 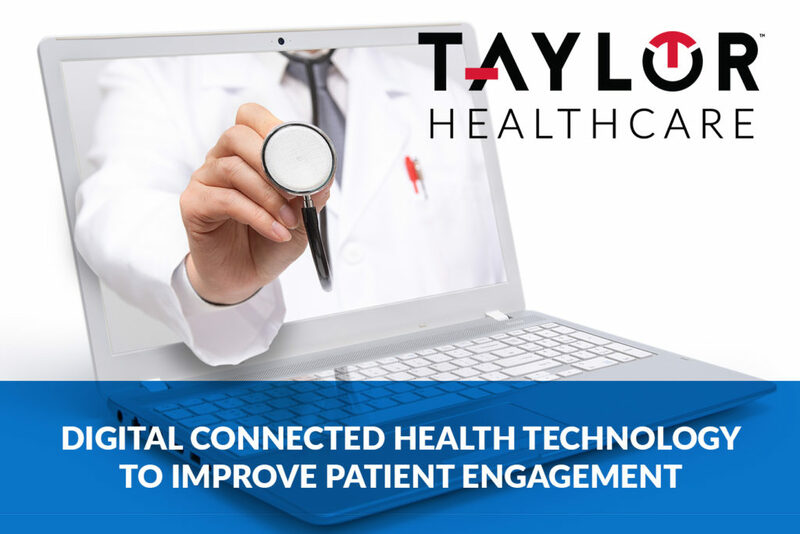 Taylor Healthcare’s suite of patient engagement technology solutions were designed to do just that. Our iMedConsent™ digital content library solution manages and maintains over 3,800 procedure-specific consent forms and over 4,400 patient education documents, including pre- and post-procedure instructions and anatomical images. This digital health tool is available as part of our Informed Consent electronic signature solution or available as a content-only integrated solution in the AppOrchard for Epic EHR clients. According to a JAMA Survey, “… programs, such as the iMedConsent™ software currently used by the Department of Veterans Affairs hospitals, may free up physicians to address individual patient concerns more effectively.” Our team of board-certified medical directors and physicians review every single consent and education content before publishing to ensure they meet CMS informed consent and regulatory guidelines. Your physicians are able to spend more time ensuring that the patient is fully informed and comfortable with the procedure — helping contribute to increased levels of patient satisfaction. It’s important now more than ever that healthcare organizations explore digital technology tools, like iMedConsent™, designed to help increase the productivity of your clinical staff. Enabling your staff to work more efficiently and effectively will ultimately allow them to deliver higher quality care to your patients. 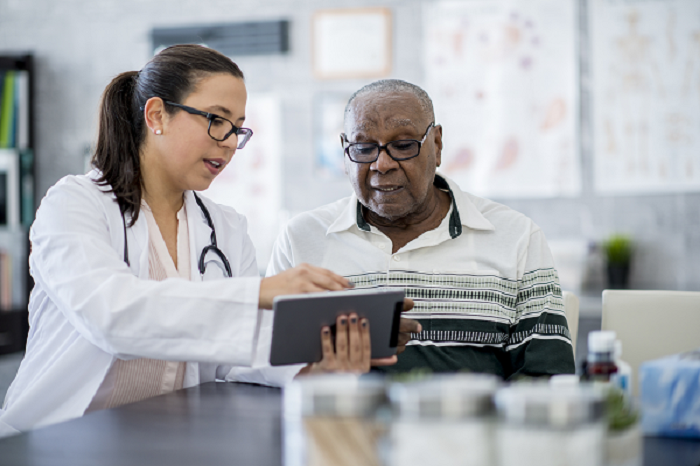 As healthcare continues to become more consumer-driven in 2019, healthcare providers are challenged with finding new ways to connect with patients and improve the overall patient experience. On the other hand, patients are looking to exert more control in managing their own care journeys while seeking out providers with advanced technology tools for better patient engagement. It’s important that healthcare organizations prioritize digital technology to ensure that patients are more connected and plugged into their care. According to a Black Book survey from Q2 2018, “90% of patients no longer feel obligated to stay with healthcare providers that don’t deliver an overall satisfactory digital experience [while] 88% of respondents under age 40 state they will choose their next medical provider based on a strong online presence.” With the cost of healthcare on the rise, healthcare organizations and providers are feeling the pressure to provide more value and a better digital experience for patients — or better recognized now as the customer. 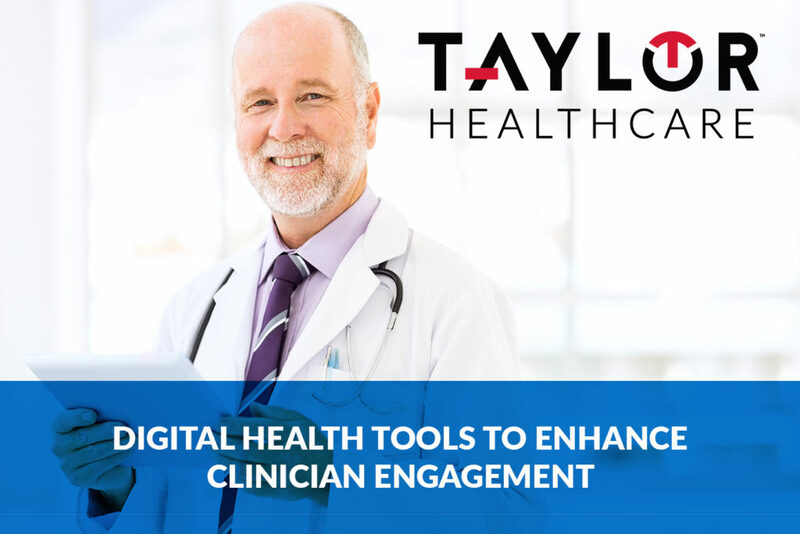 Healthcare technology vendors like Taylor Healthcare understand this shift to healthcare consumerism and are positively changing the way patients connect with providers to engage in their own care with technology solutions like Check-In at Home. Check-In at Home enhances patient engagement by enabling patients and providers to “connect” with each other to manage their health outside traditional hospital walls. Patients are able to complete their required forms before their care visit securely via the web or integrated within an existing patient portal in the comfort of their own home or anywhere convenient. Not only does this automated pre-registration solution improve data collection and staff efficiency for providers, this solution also increases patient satisfaction levels with reduced in-office wait times and a better digital experience for the patient. Digital connected health tools like Check-In at Home will be essential for providers to retain patients and empower them to be more active participants in their own healthcare. Healthcare organizations that haven’t yet prioritized improving their patient connectivity with consumer-centric technology run the risk of lower satisfaction scores — and worst, losing loyal patients. The consumerization of health is one of the fastest growing health IT trends for 2019. Patients are demanding to circumvent traditional care models with disruptive technologies that redefine how patients engage with their own care. With healthcare costs on the rise, patients are beginning to expect more from their providers — including better care and a better patient experience. As patients begin to see themselves more like consumers of healthcare, it’s more important now that healthcare organizations prioritize ways to improve the patient’s care journey with a focus on enhancing the digital experience for engaging with the patient. Mobile technology has been a consistent trend in improving the way customers engage with a business or service. 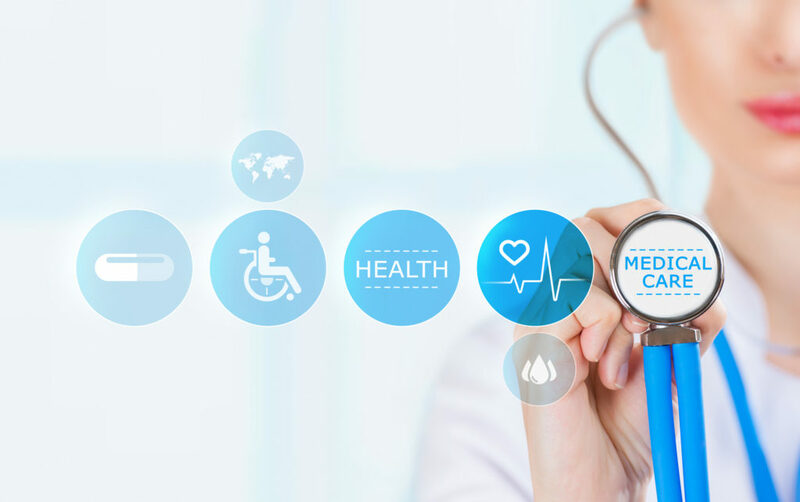 The healthcare industry is being pressured to embrace this digital trend as well with mobile technology becoming increasingly popular for enhancing the consumer-driven experience. Healthcare technology vendors are challenged to create solutions that benefit both the provider and the patient — such as our Mobile Signature Capture solution. Mobile Signature Capture enables patients to use their own smartphone or device to complete their documents securely during their care visit. Patients enjoy the familiarity and convenience of using their own device to complete their healthcare documents while providers can decrease cross-contamination risks and e-signing hardware costs. Patient-centric technology solutions like Mobile Signature Capture help healthcare organizations compete with the ever-changing demands of the “consumer-minded” patients of today’s world. As patients begin to demonstrate more control over choosing their own providers, healthcare organizations will be required to not only prove their commitment to efficiency but also prove their commitment to a better overall user experience for the patient. As patients seek to exert greater control over their healthcare journeys, healthcare providers are seeing a larger shift to technology. Automated tools have made other aspects of their lives more convenient and patients want to use these types of solutions to improve their healthcare experiences. Consumers have become increasingly dependent on mobile devices to make travel reservations, order food, bank and video chat. Their expectations for interacting with healthcare providers also have increased dramatically. They look for convenience and simplicity from providers for scheduling appointments, refilling prescriptions, communicating with physicians and other medical staff and for completing paperwork before appointments. Healthcare organizations that recognize the shift in embracing technology have the opportunity to streamline care and help patients become more engaged in their own care. Healthcare organizations that use patient-centric technology tend to have more engaged patients than those that rely on manual, paper-based processes. Satisfied patients are more loyal and often become ambassadors for the organization — helping to attract and retain customers. 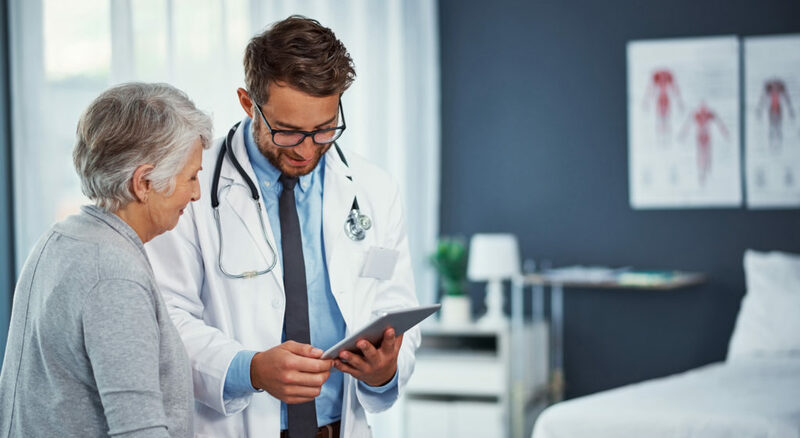 Staying connected to providers through mobile patient engagement technology, encourages patients to be more involved with their care which ultimately leads to better outcomes. Patient portals are the most commonly used patient engagement technology. Integrated with electronic health records, patients can access key health information including test results through the portal. In many cases, patients also are able to request prescription refills, pay bills and schedule appointments through their portal. Secure messaging allows patients to communicate with their providers and sometimes can help avoid trips to the doctor’s office or can allow providers to identify potentially serious issues before they escalate. 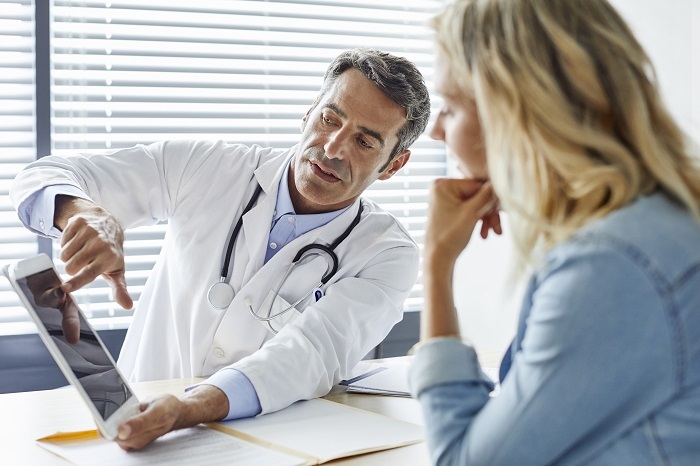 Two-way patient-provider communication also reinforces that healthcare organizations care for their patients and are invested in their long-term health. By allowing patients to use the portal with their own mobile technology, healthcare providers can make interactions more efficient and effective. Beyond portals, providers can integrate solutions that enable electronic patient registration and document signing. Leveraging these solutions can smooth patient access and eliminate the tedious process of completing paperwork while waiting to see the doctor. In some cases, patients can even use their personal handheld devices to sign consent forms and complete documents. Some solutions allow patients to register from the comfort of their homes before heading to the healthcare organization — leading to a much more efficient patient experience. These tools also streamline registration for the healthcare organization because the registrar no longer has to manually follow up on incomplete information. Having information early also allows the provider to better prepare for the upcoming visit — contributing to increased patient safety and a more efficient billing and documentation process. Patient wellness apps also are an emerging patient engagement technology that present a unique opportunity for healthcare providers. Organizations that access data from these apps can keep tabs on a patient’s health outside of their care visit. Not only are providers able to spot potential problems before they become serious issues, they also can intervene with education, coaching and other strategies to reduce the need for costly visits. They are able to provide a more customized care experience because they have a more longitudinal view of the patient’s health and wellness. Although many organizations are just starting to explore these applications, their use likely will become more prevalent in the future. As technology continues to evolve, healthcare organizations will continue to explore and leverage mobile solutions to better engage patients and make care more convenient and efficient. Organizations that embrace this idea can dramatically improve their relationships with patients, making care more accessible and even more effective. The organizations that remain committed to engaging patients using mobile technology stand to better serve their patients with increased satisfaction, cost savings and improved engagement. Eramo, Lisa A. “How to Improve Patient Engagement through Technology.” Medical Economics, 10 July 2017, www.medicaleconomics.com/medical-economics-blog/how-improve-patient-engagement-through-technology. “How MHealth Technology Supports Patient Engagement Strategies.” Edited by Sara Heath, PatientEngagementHIT, 17 Oct. 2016, patientengagementhit.com/features/how-mhealth-technology-supports-patient-engagement-strategies. Sawesi, Suhila, et al. “The Impact of Information Technology on Patient Engagement and Health Behavior Change: A Systematic Review of the Literature.” JMIR Medical Informatics, vol. 4, no. 1, 2016, doi:10.2196/medinform.4514. “What Patient Engagement Technology Is Good For.” Edited by Sandra Gittlen, NEJM Catalyst, 21 July 2017, catalyst.nejm.org/patient-engagement-technology-good-for/. Patients are increasingly demanding the same consumer-centric experience they are receiving in retail settings when they are receiving medical care. It all starts with understanding your population and patient personalization. How do they like to receive care? How do they like to communicate with providers? Who is their preferred doctor? Next, you can build out technology and other solutions to customize the care you provide. Most providers offer patient portals for viewing lab results and upcoming appointments. Many patients find these portals frustrating to access and not user friendly. Many patients also want online appointment scheduling and cancellation. They want waiting lists in the case of an earlier canceled appointment. They want to contact providers through electronic means/real time/video/email. They want convenient extended hours. Improving communication and delivering a more retail-focused experience will go a long way towards developing patient loyalty. 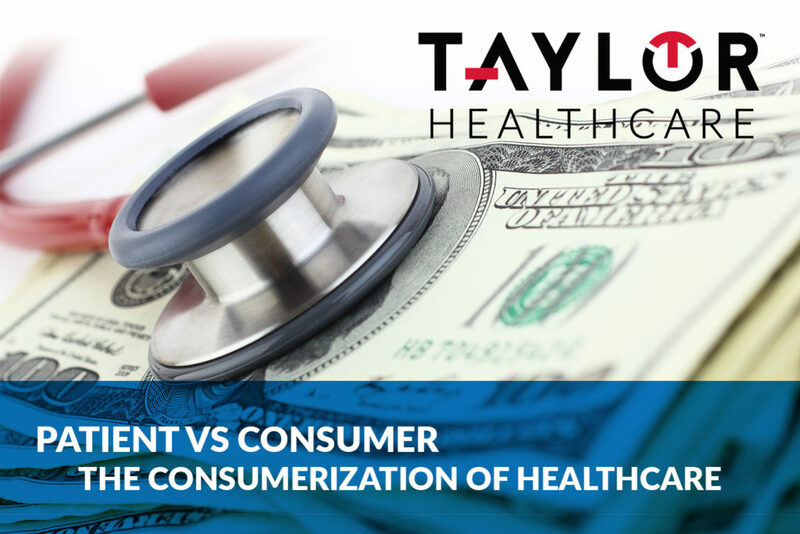 Lowering the cost of healthcare is imperative, not only for providers facing budget pressure, but for consumers who are shouldering more and more of the cost of care and for payers who are looking to minimize reimbursements for unnecessary procedures. The goal for providers is how to deliver the best results while keeping costs down. In fact, 41% name financial constraints as the force that will cause the greatest disruption in healthcare this year. Increased budget pressure should increase innovation in delivery of quality care. During 2018, we predict an increase in consumer-focused medical plans. What consumers want in a plan is convenience and value. To achieve that goal, we will likely see bundled finance offerings with plans, loyalty programs similar to frequent flyer miles, professionals (similar to a financial planner) who manage one’s health spending. Payers will continue to become more involved in the provider side as a way of controlling costs. They will continue to create policies, design plans, and narrow provider networks. 45% of providers name government regulations as the force that will cause the greatest disruption in healthcare this year. Tax reform, healthcare reform, and governmental requirements will all significantly impact how the industry provides and pays for care. With the probable reduction of the corporate tax rate, we will see change in the way companies invest, structure, and hold profits. Efforts continue to loosen Affordable Care Act consumer protections and mandates, cut Medicaid spending, and expand access to lower-premium health insurance. 49% of providers cited increased regulatory and reimbursement requirements as the issue most likely to impact their orgs future. Providers worry the unknowns will affect bottom line, morale, and workflow. For the foreseeable future, the healthcare industry will continue to see inconsistency in government policies and funding. This is especially dangerous for hospitals in underserved communities that rely almost exclusively on Medicaid and Medicare funding. Unless they are supported in some way, many of these providers will sink deeper into debt. 47% of hospital revenue is currently from outpatient care, and this is expected to continue to rise, as inpatient care is more expensive and hospitals are looking for ways to cut costs. This can benefit patients, as they are looking for quicker and more convenient care. Ambulatory surgery centers are increasingly used for low risk patients who require a surgery. Care is moving from the hospital into the community giving consumers the quick and convenient access they desire. Telemedicine and virtual care is currently offered by 75% of institutions. This growth is driven by patients’ desire for more convenient care. Reimbursement is currently the main barrier to expanding these offerings. Consolidations, Partnerships and Mergers, Oh My! There is a new form of competition emerging: providers and payers are organizing themselves into vertically-integrated, high-value care and financing networks. Insurers, physician groups, health systems, and even retail organizations are each seeking to compete as high value care and financing networks. Providers and payers have increasingly worked collaboratively. Payer-provider partnerships vary in type, size, location and model. There are 50/50 joint ventures with co-branding, and less intensive partnerships like pay for performance, accountable care organizations, patient-centered medical homes and bundled payments. Employers are getting into the game, too. Amazon, Berkshire Hathaway and JPMorgan Chase partnering to cut costs and improve service to their employees could be a game changer, as they target tech solutions to simplify the healthcare system. We expect to see the industry become increasingly hybridized with more and more partnerships, consolidations and mergers. You Have Abundant Data, But Are You Maximizing It? Since the widespread adoption of Electronic Health Records (EHRs), hospitals are collecting more data than ever before Effectively analyzed and applied, this data can be used to increase efficiency of care, boost revenue, cut costs and improve health. However, as more information becomes available, some hospitals are having difficulty parsing what data is useful. As providers begin to understand the available data, curate it and ensure the people working with it can understand what is being measured, this undertaking will lead to improvements in several key areas. Data can be analyzed to examine the health and wellness of patient populations. With insights into socio-economics, genetics and patient history, providers can more thoroughly understand their patients and create better treatment plans. Data and analytics will allow providers better insight into population health epidemics such as heart disease, obesity, diabetes, and more recently, opioid overuse. A number of potentially dangerous chronic conditions have emerged as major risk factors for the U.S. population, which has experienced an increasingly and extremely high obesity rate in recent years. Analytics will help to test and confirm health models for populations so providers can identify at-risk patients. Providers already know through their daily experience what is taking place. With a shift toward predictive analytics, healthcare providers can plan for what is most likely to happen in the future. This information helps predict which patient are potentially at-risk and create treatment plans to proactively address diseases. With widespread EHR adoption and the progress in genome sequencing, physicians now have enough information to identify consistent patterns in symptoms and create accurate patient profiles. This will lead to the end of “one-size-fits-all” treatments in favor of personalized, more effective treatment. Instead of treating a patient for cancer, we will be able to define their specific symptoms of the disease, their individual condition and medical history — and even their genetic makeup — in order to tailor treatment and increase the chance of a positive outcome. UNC Healthcare, working to reduce readmissions, combined EHR information with geographic and socioeconomic data to better identify current patients at a high risk for readmission. UNC is working on ways to embed that intelligence into workflows to keep track of those high-risk patients to decrease the likelihood that health problems will occur. The predictive models they developed were more than 30 percent accurate at identifying at-risk patients. According to the white paper How to Use Data to Improve Patient Safety, adverse events in healthcare are the third-leading cause of death in the U.S. — proving that while the industry may have done work and performed research to improve patient safety, it’s made little to no progress. In fact, patients today are experiencing 10 times the rate of preventable harm as they were in the 1990s. Without a data-driven, all-cause approach to patient safety, history will continue to repeat itself. With initiatives around data-driven patient safety, health systems will have the tools they need to achieve better outcomes. Analytics will leverage integrated data and predictive analysis with machine learning to address organizational weakness and increase patient safety.